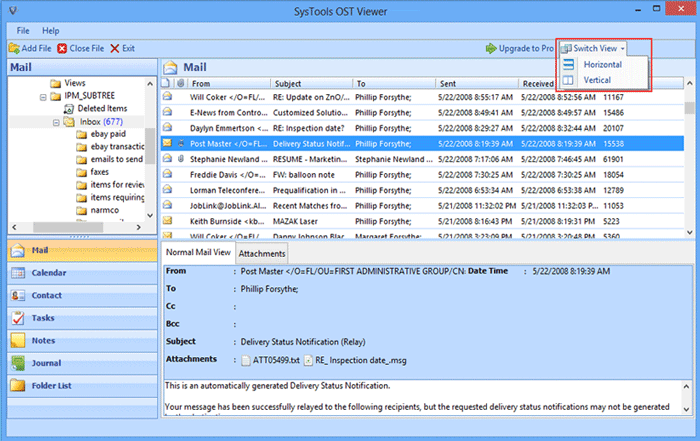 Using OST Viewer tool to read, open and view entire emails from unreadable or inaccessible OST file. It is an amazing solution to restore deleted emails from OST file also. It is design based on GUI therefore easy to understand for non-technical users. This software offers a solution to users who want to extract file properties from one or more files such as Attributes, Name, Short Name, Version, Date Created, Date Last Accessed, Date Last Modified, Drive, Parent Folder, Size, Path, Short Path.